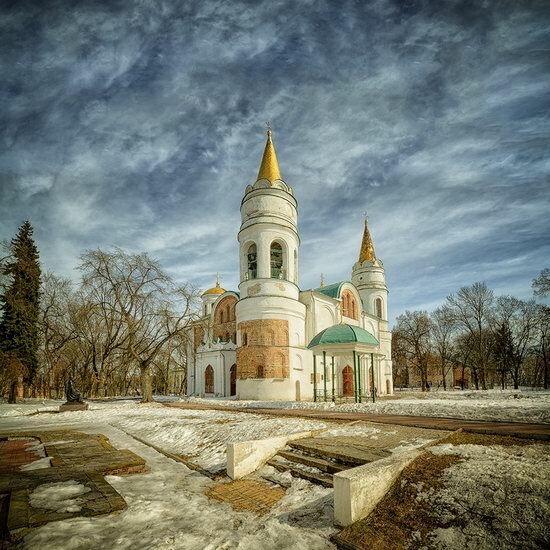 Chernihiv, first mentioned in 907, is the most northern regional center of Ukraine. The center of the historical region of Severia, it was one of the largest towns of Kievan Rus (882-1240). Today, this city is known for its monuments of architecture. Some of them were built in the times of Kievan Rus, before the Mongol invasion. Photos by: Boyko O.D. Savior Transfiguration Cathedral (1033) – the oldest surviving monument of old Russian architecture, one of the few surviving buildings of the period of pre-Mongol Rus. 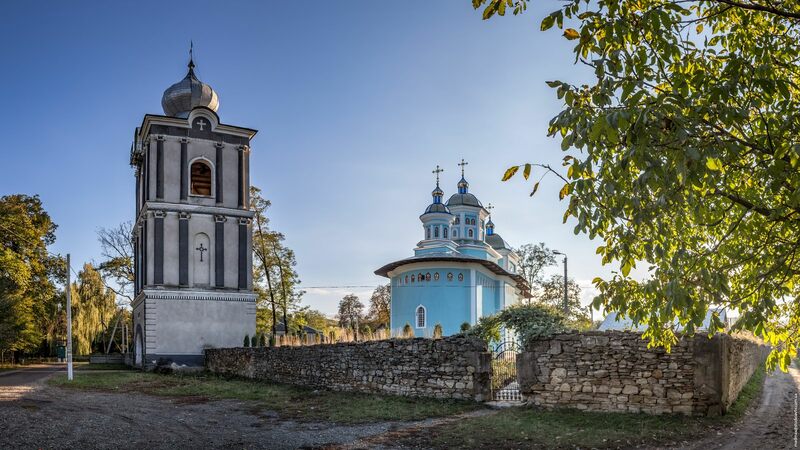 The Church of the Nativity of Christ, a monument of architecture of national importance, stands in the center of Halych, a historic town located in the Ivano-Frankivsk region, about 25 km north of Ivano-Frankivsk. 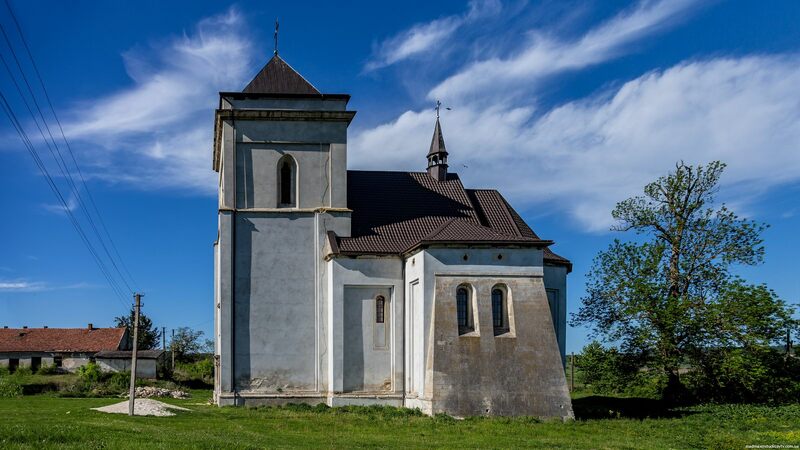 The exact date of the construction of the church is unknown. It was first mentioned in the 14th century as the main church of the artisan district of old Halych. In 1593, the church was officially assigned to the pottery workshop. Church of the Nativity of Christ on Google Maps. Photos by: Maxim Ritus. Bukovina is a historical region located between the middle reaches of the Dniester River and the main Carpathian range, in the Chernivtsi region of Ukraine and Romania. Bukovina is known for its beautiful landscapes and unique people, rich history and culture. Bishche (Buszcze in Polish), founded in 1086, is a village with a population of about 500 people located in the Berezhany district of the Ternopil region, 66 km west of Ternopil. The main attraction of the village is the Roman Catholic Church of the Assumption of the Blessed Virgin Mary (1624-1638) – a defensive religious building, an architectural monument of national importance. Bishche on Google Maps. Photos by: Maxim Ritus. Bairaky is a large village with a population of about 1,800 people located in the southeast of the Chernivtsi region, 29 km from Chernivtsi. The main attraction of the village is the Church of the Nativity of the Blessed Virgin combining the Baroque style and the Galician school of church architecture. Bairaky on Google Maps. Photos by: Maxim Ritus.